Not long after it’s release, the Moto RAZR i has not only gotten root, but also a set of fastboot images to flash. The next logical step would be a custom recovery, and this Intel powered device is no exception. Moto RAZR i users now have ClockworkMod Recovery. There’s still a couple of bugs to kill on it (like keys being a little.. slow to generate events) but it’s usable and mattlgroff was able to nandroid his phone with it. At the very least, the core functions do work. 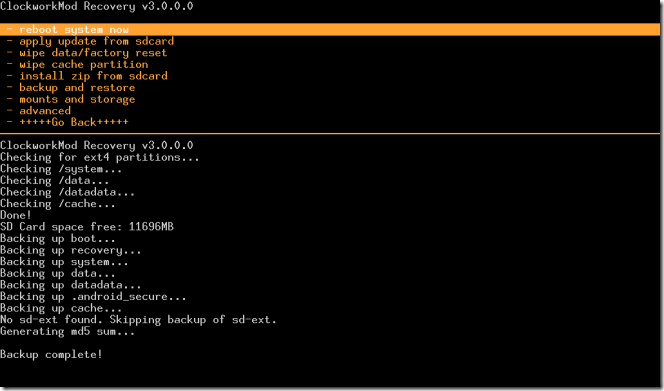 Now users can make those ever important Nandroid backups and, eventually, flash ROMs. For more details, check out the original thread.